As we always have these waste plastic,tin food containers in our kitchen. I thought why not give them a crochet touch and turn them in to something that we can reuse. 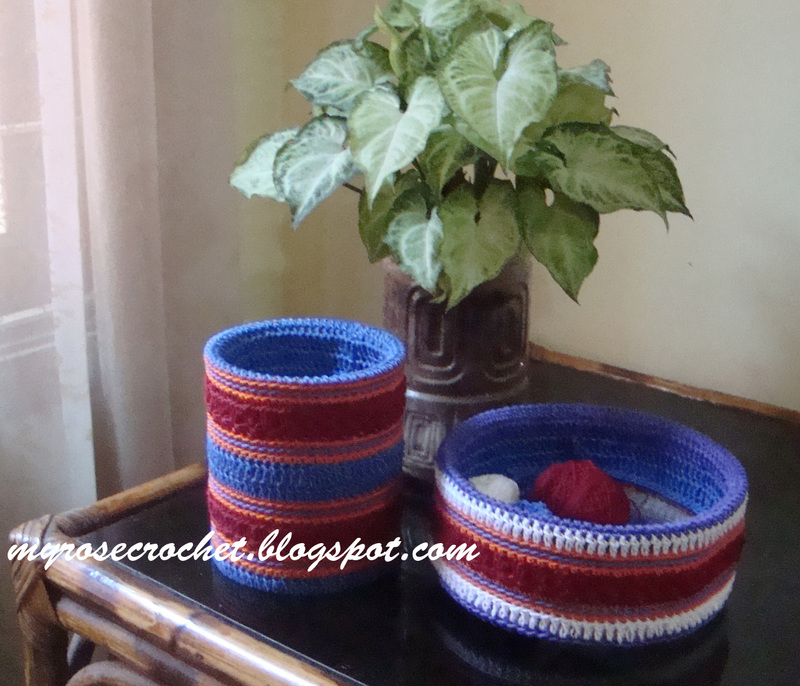 Use them as planter, as a basket for yarn or on dressing table for cosmetics..so many uses. Also a great stash-buster . I used my leftover yarns to make these . I am sharing steps how I did these..not a pattern in particular. For this I used 3ply knitting cotton thread, 3.5mm crochet hook . Base- For base crocheted a round piece according to the size. the base round. It is done with dc rounds only. In between star-stitch pattern added. Rnd 1 - (col A) sc in back loops. Rnd 2-(col B) sc in back loops. Rnd 3-(col A) sc in back loops. Rnd 4,5 -(col C) star stitch. 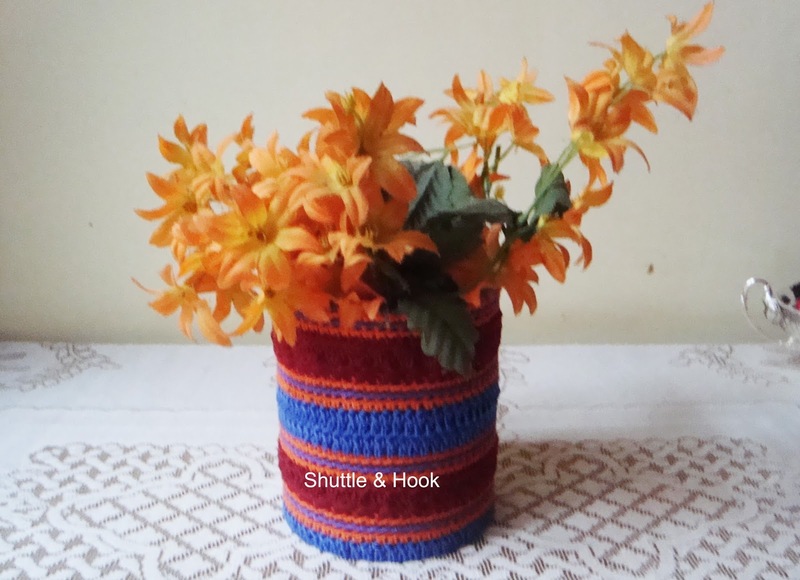 the container in to crocheted cover. Push the extra portion inside of the container. Container all dressed up is ready to be used.